5 hidden gems on the Cape. Cape Cod is a common vacation destination for both people from Massachusetts and outside of it. I have been lucky enough to live on this peninsula for the past sixteen years. Over these sixteen years I have found some beautiful areas that make me fall in love with Cape Cod over and over again. Here are five places that you should visit while on Cape. As you drive along route 6A, you pass more art galleries and shops than you can keep track of. As you pass Scorton Creek, you do not give the Giving Tree sign a second look. Behind that small gallery is a beautiful trail that goes through the marsh. 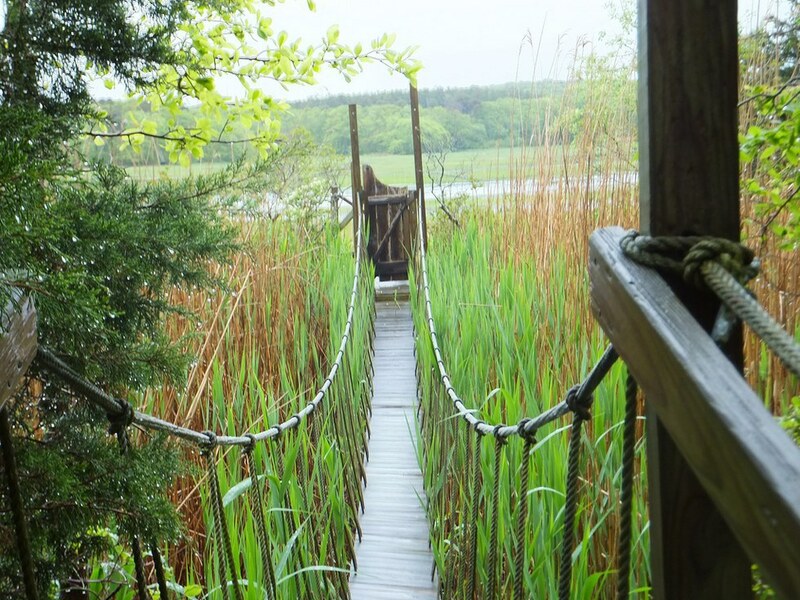 There is a rope bridge through the marsh and sea grass. The walk consists of beautiful pieces of artwork and inspirational quotes on stones. This is a short walk, but it is beautiful no matter what the season. On your way out, you can stop in the art gallery! The Knob is easily the best place to view a phenomenal sunset. 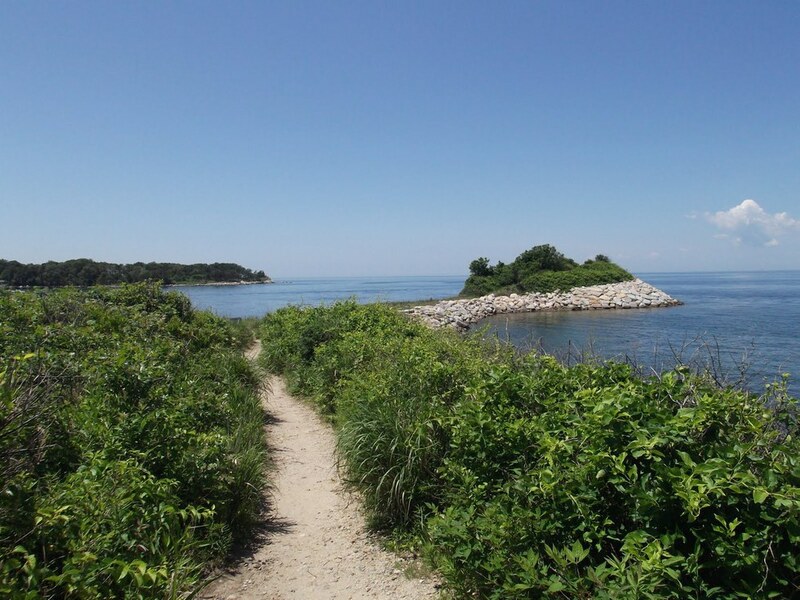 This trail goes directly through the Quissett Harbor in Falmouth and is rooted in history. The foliage on this strip was used to hide ships from the British during the War of 1812. The Knob runs alongside a sandy, beach area and leads up to a beautiful view. You can look over Buzzards Bay and the Quissett Harbor. After the walk along the harbor, you can have a picnic dinner while the sun sets over the harbor. 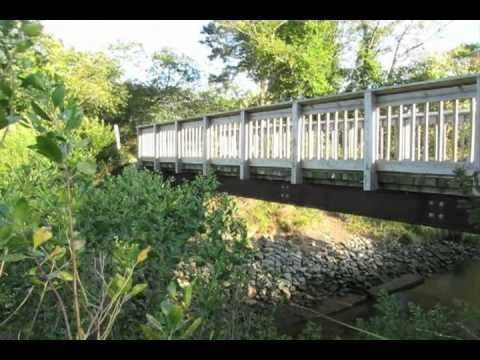 This trail is a part of the National Seashore and it is a beautiful place to hike or walk a dog. It consists of a long boardwalk through the white cedars. This beautiful area was once home to The U.S Army’s Camp Wellfleet. Camp Wellfleet was utilized for training during World War II. This walk is a beautiful walk through one of one of the Cape’s beautiful ecosystems. Also, there is a beautiful area with benches above the dunes that overlooks the beautiful National Seashore. This area is perfect for walks during the summer because you do not have to worry about the heat due to the surplus of shade. Fort Hill is another beautiful area with trails. This area is also considered a part of the National Seashore. Fort Hill consists of numerous trails that go through beautiful fields that are full of plants and flowers. The Fort Hill trails also connect the the Red Maple Swamp trails. Like the White Cedar Swamp Trails, there is a boardwalk that goes over the swamp and trails. This a beautiful area to see foliage during the fall. 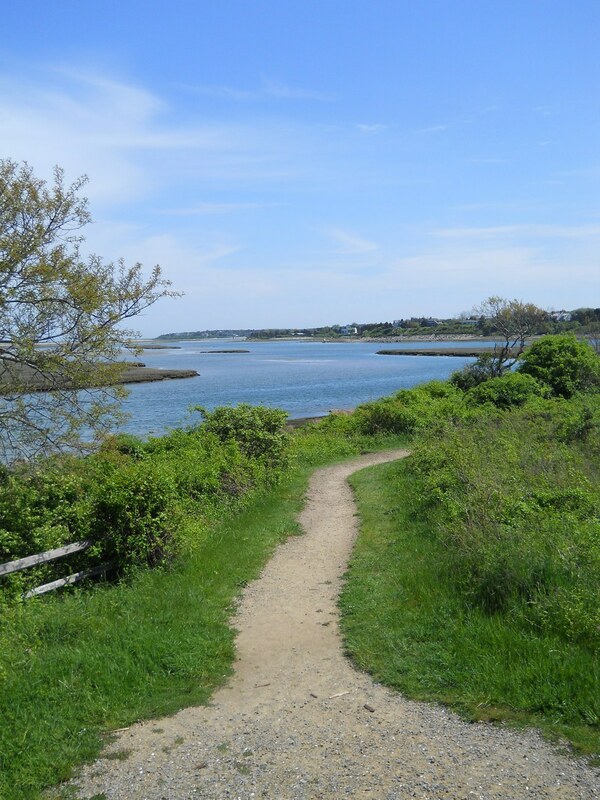 As you walk through the Fort Hill trails, you will come across beautiful views of the ocean. Another feature of Fort Hill is the Penniman House. This is the house of a whaler from the late 1800s, Edward Penniman. Tours are offered of the property and a big attraction is the large whale jawbone. It is said that if you stand under the bone and make a wish, it will come true! Talbotts Point is a popular destination for dog walkers, joggers, and just about anyone looking for a beautiful walk. These trails lie behind Scorton Creek and The Game Farm. Once you get down the dirt road to the parking lot, you have the option to hang out by the creek. It is common to see people jumping off the bridge into the creek on a hot day, swimming, crabbing or kayaking. If it’s not swimming weather, a walk through the trails is always an option! These trails go through the woods and past beautiful fields. It will also bring you over two stone bridges. This area is beautiful during the fall and it is the perfect place to get an amazing shot of the foliage or cranberry harvest at the neighboring pond.